NYC Based Home Stager and ASID Interior Designer Cathy Hobbs on location in St. Catherines, Ontario. I recently travelled to St. Catherines, Ontario in order to sharpen my home staging skills by taking the intensive CSP (Certified Staging Professional Course). If you are interested in becoming a home stager and want to learn more about home staging as well as obtain all of the necessary tools to start a successful home staging course there is only one course to take, the CSP (Certified Staging Professional) course. To learn more go to http://www.stagingtraining.com or 1-888-STAGING. This 3 day course provides the foundation for those wanting to start a career or own a business in real estate property staging. The proven CSP™ process is a blend of interior redesign techniques, along with business, marketing and communication skills, to effectively market a house for sale. Owning a business involves so much more than talent; like pricing, invoicing, communications and vital marketing components some of which are delivered through the CSP M.O.R.E Marketing After Class Program. The program includes a one year membership in the CSP Alumni Association, which provides the support and resources crucial to building a profitable, home staging business. Exclusive work opportunities are available to the CSP graduates. 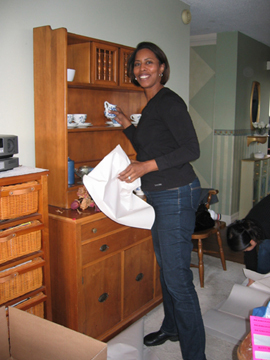 Become a home stager and earn a designation in home staging; enroll today.